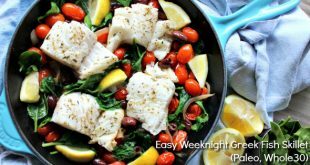 Don't go out to a steakhouse when you can make your own steak that tastes even better! 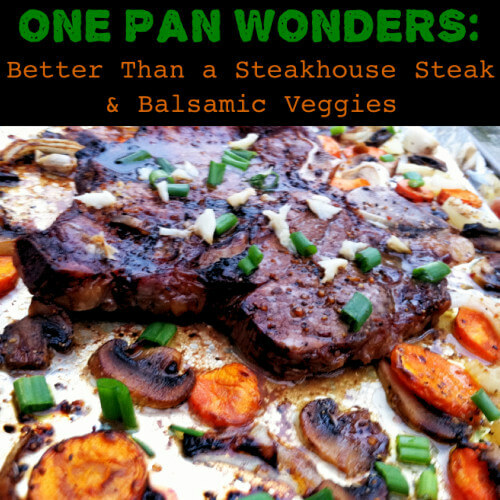 A whole steak meal, complete with veggies is on the table in no time flat! 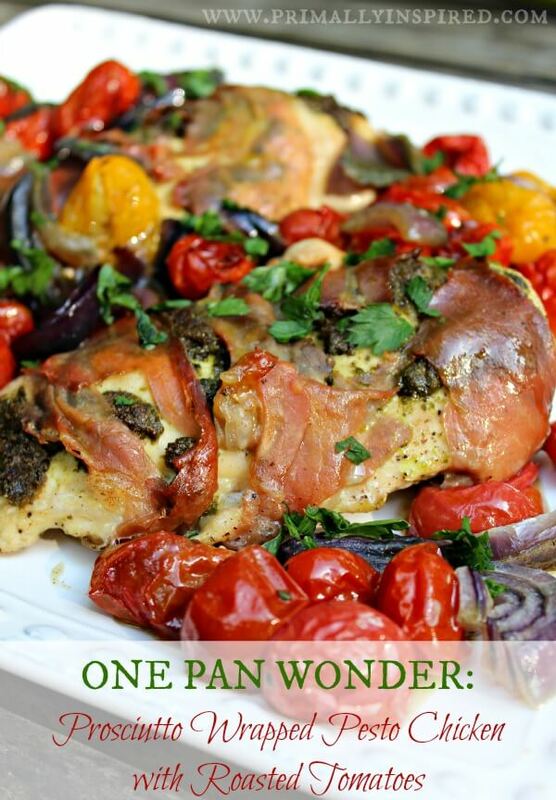 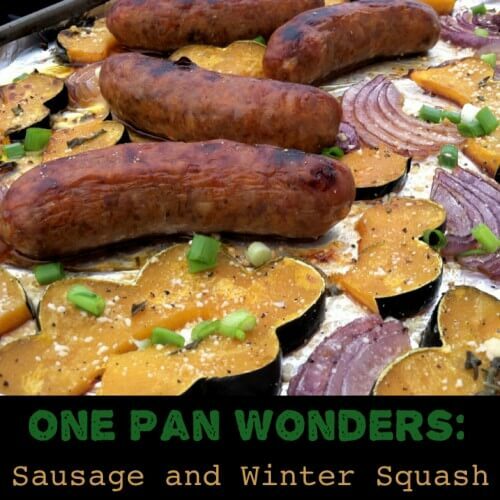 Another One Pan Wonder is here and just as before, it's quick, super tasty, and healthy. 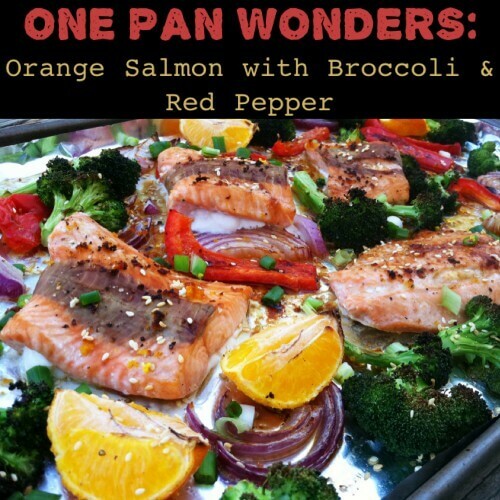 Salmon, broccoli, red pepper and orange wedges grace the pan this time around. 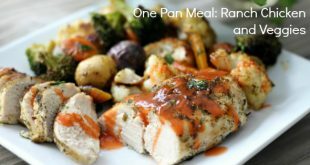 These one pan wonder dinners are a quick and easy way to get a healthy meal on the table in no time flat!